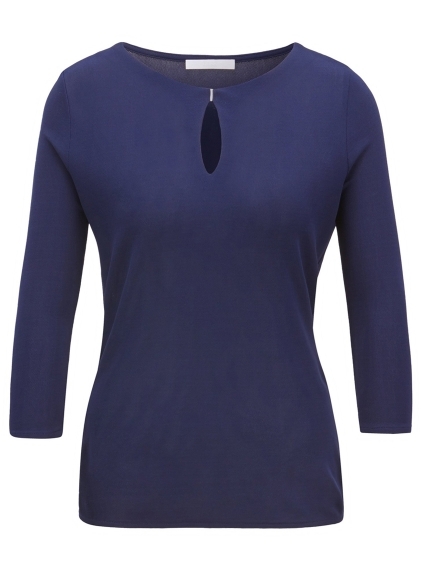 A versatile top with three-quarter sleeves by Hugo Boss. Cut for a regular fit in crepe jersey for easy movement, this slip-on top is given a touch of femininity with a keyhole neckline and a branded metal rivet. Style it simply with slim-cut trousers or pencil skirts.